If you run a small to medium sized business, you don’t need us telling you it’s hard work. From the sleepless nights and long working days, to the office headaches and stresses that come with running a business, SME owners truly put in the hard work. As a small business owner, you most likely have a vision for your company. And, whatever your vision might be, chances are it doesn’t involve spending your hard-earned profits on printing costs. The truth is, the humble printer is still an essential office device. From printing sensitive documents and client work, to marketing collateral such as posters and brochures – every small business needs a printer if they want to run as efficiently and productively as possible. What small businesses don’t need is to pay a hefty price tag in order to get the most out of their printer. The good news? There are many ways to reign in and control office printing costs, yet perhaps the best solution is a MPS solution. MPS stands for Managed Print Service and involves entering into an agreement with a third party for the management, maintenance and support of your printer and its consumables. Not only does your business save on printing costs, but a MPS solution takes the hassle and stress out of any technical issues that may occur with your printer. It’s a win-win! In this blog, you will learn about the benefits of a MPS solution, and other ways you can reduce your printing costs. What is a MPS Solution and How Can It Cut and Control Printing Costs? Subcontracting non-vital business tasks is a growing trend for many SMEs. Savvy company owners are handing over non-core business activities in order to have more time to focus on delivering better value to their clients, and also cut costs and improve efficiency. MPS is one form of business outsourcing and is particularly popular in the SME sector. It focuses on outsourcing the maintenance, management and support of your printers to a professional third party company for a monthly price based on your paper usage. This is a great solution for SMEs as it means you only pay for the pages you are actually printing. In order for MPS to be of benefit to your business, it is important you take a look at your company’s current output situation. 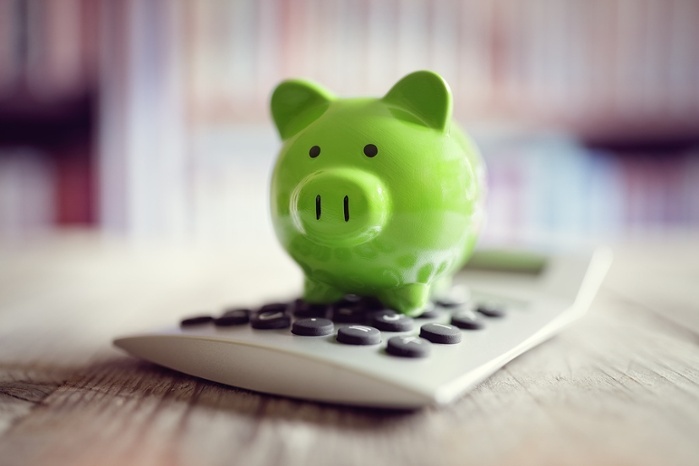 Once you have a clearer picture of the total cost of ownership (TCO) of your office devices, you can then begin optimising them to provide your business short and long-term savings. An MPS service provider can help you with these calculations for your current-state, and also with your projected savings. Setting up a MPS agreement is simple. At the beginning, you or your IT team will work together with your MPS service provider to create a printing environment that meets the needs of your business. From then on, your MPS service provider will carry out recurrent maintenance of your office devices and automatically replenish consumables. Your MPS service provider will also be available to help with any trouble-shooting or repair your devices as needed. Read more about how SMEs can cut costs and save money on printing with a MPS solution. While deploying a MPS solution agreement is one of the most effective ways to save on printing costs, one of the biggest culprits when it comes to the high cost of printing is the usage of non-genuine toner. Sourcing cheap consumables is a very common business tactic when it comes to cutting costs and saving money. Many SMEs are enticed by the cheap shelf price of products and the promise of compatibility with their Fuji Xerox device. The truth is, non-genuine toners actually cost more in the long run. From the lower page yield, susceptibility to damage, machine downtime and loss of productivity, non-genuine toners are a significantly more expensive and costly long term option. Not only costly, but if your printer is producing documents that are important to the growth of your business, then only genuine toner will give your sales proposals and marketing collateral the opportunity to consistently look great with every print. When purchasing toner, it is vital you are only using toner that is genuine and compatible with your specific Fuji Xerox printer. Busted! 5 common non-genuine toner myths revealed. Think back to the last time you purchased a new printer or multifunction device for your business. Did you look at the upfront cost of the printer and decide on the spot that it was the right device for you? Most SMEs are guilty of only considering the buying price when it comes to upgrading or purchasing a new printer or multifunction device. When the purchase price looks good, it’s easy to be lured into thinking you’ve snatched a bargain. However, if your business wants to get serious about controlling its printing costs, you need to look beyond the purchase price. Before you buy a new printer, it is vital you consider all costs involved. This includes the initial purchase price and actually running the device. That’s why it is important you look at the total cost of ownership (TCO) before investing in a printer. An MPS service provider can help you with these calculations so you can see the whole picture. Your business and your wallet will thank you for taking the time to understand the TCO before buying a new printer. It will greatly help prevent any unnecessary financial harm or productivity loss for your business! Read on to find out how small businesses can control and reduce printing costs with TCO.